When does a dark ale become a stout? I don’t know, that’s why I’m asking you you. Answers on a postcard please. 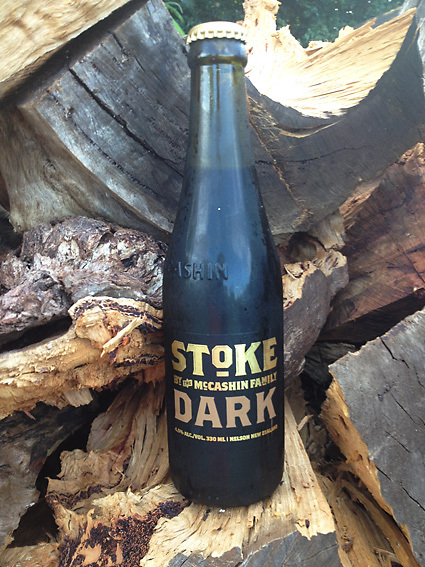 The McCashins brew in Nelson, on the South Island of New Zealand using “finest organic hops and premium malt, developed our own bespoke yeast, and sourced 14,000 year-old Paleo water”. The resulting Dark Ale is clean, and fresh tasting . This an easy drinking black beer, not creamy like a stout, but rich and malty with roasted coffee undertones and a clean finish. “Courage Directors was originally brewed exclusively for the Directors of the Alton brewery, but following public demand, the beer was made available to the public.” I’m glad it was as this was one one my favourite cask beers when visiting England (from Cornwall). Of course, now it’s available around the world. This classic English pint certainly travels well and the bottled version compares well with the cask brew. A rich copper brown in colour, it’s smooth on the palate, with a slightly sweet, malty taste, balanced with the bitterness of hops. The Directors knew what they were doing when they kept this one to themselves. If you’re ever in the UK, try this one on the hand-pump, you won’t regret it. 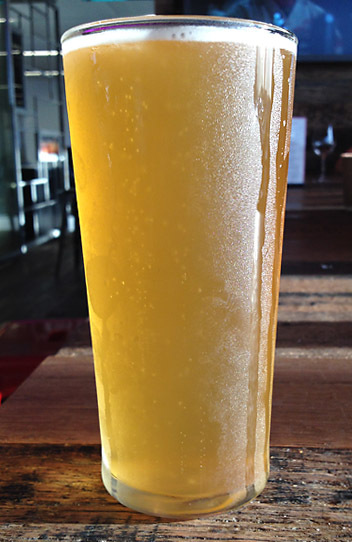 Thirst for flavour driving hops revival – ABC Rural (Australian Broadcasting Corporation). 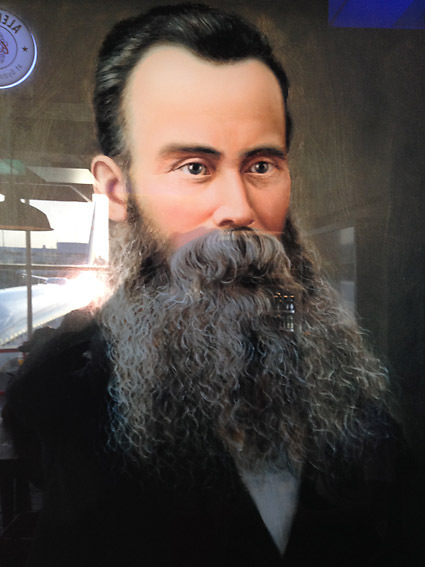 The face that launched a thousand schooners, Thomas Cooper quite rightly has the look of greatness about him. I have a lot to thank him for, for without him and his wonderful Original Pale Ale, this blog would not exist. 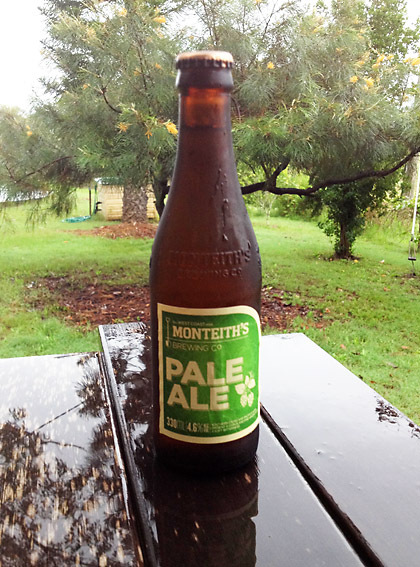 For it was the search to find a beer consistently better and adaptable than the Original Pale that inspired the blog. In fact it was a Coopers brew that I first reviewed, their Dark Ale going down a treat in Bill’s Bar at the Woodford Festival. After all this time, this beer really hits the spot, even at the airport. Nothing is overdone, there’s a hoppy floral aroma, there fruity apples, yeast and a hint of banana on the tongue and a truly satisfying finish. Enough fizz to cleanse your palate but not too much to bloat, this is the beer for all seasons and still sets the standard. My first Welsh ale of the blog. 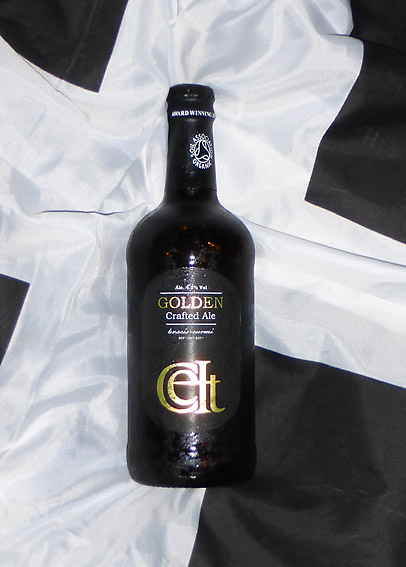 The Celtic cousins of us Cornish have made a very classy beer indeed. From the packaging to the website there is great attention to detail and a fair bit of style. Certified organic by the UK’s Soil Association, this Golden Ale has the taste of the good earth about it. Complex and fulfilling, it’s bursting with citrus flavours and a beautiful lemon and lime zest finish. It’s full-bodied too, not dissimilar to the big-hitting, American ‘Big Eye’ Pale Ale, only more subtle, belying it’s 4.2% ABV. 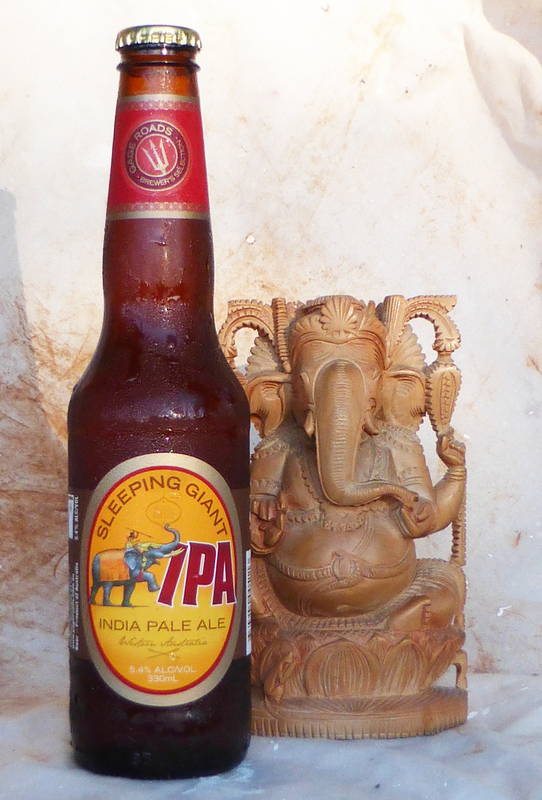 This would go well with a Goan fish curry and went down a treat with re-roast pork and apple sauce. It’s well worth checking out the brewery’s website: http://celtexperience.com I’ll certainly be looking out for more of their wares. Welcome back. 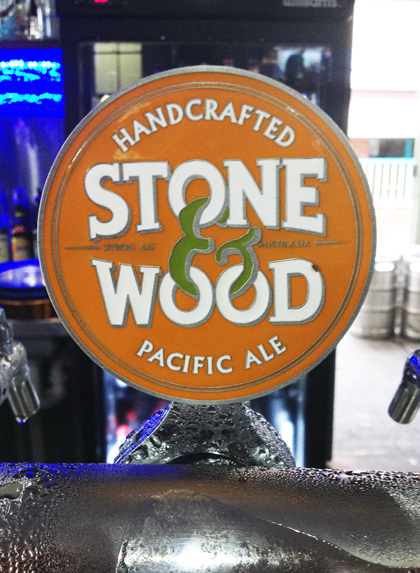 Stone & Wood‘s ‘Pacific Ale’ has made a welcome return to Feddy in Alstonville. 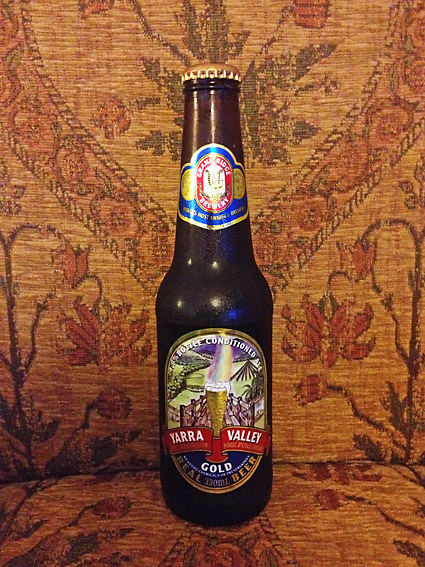 Strictly speaking, whilst taking ale on board at the Federal Hotel, I’m usually a Cooper’s Pale Ale man. Given the chance though, it’s great to jump into the cool Pacific. Like Kool and the Gang once said, ‘It’s fresh ….. exciting’, a cloudy pale straw in colour it has the aroma of a bowl of fruit salad. 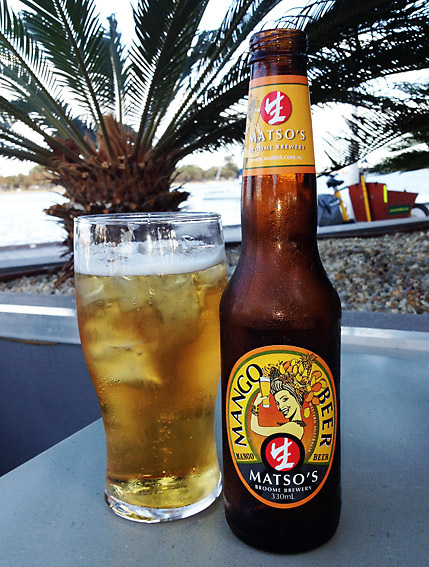 There plenty of fruit on the tongue too, passionfruit, peaches and tinned pears …… this could be 3 of your 5-a-day. 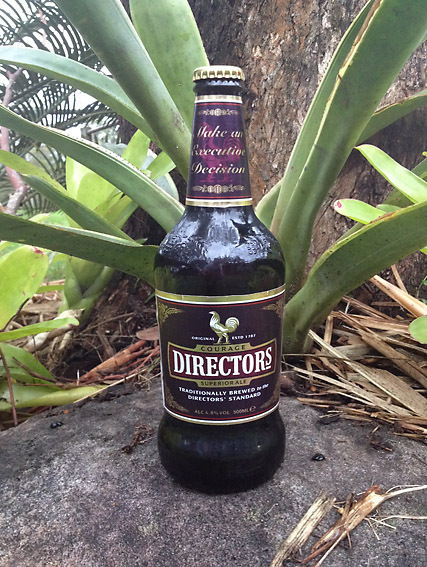 Another winner from Stone & Wood, a truly refreshing brew …. it’s about time I visited the brewery.